After my second cataract was removed, again, I could not see any better than I could before the first one had been removed. I finally got up the courage to tell my ophthalmologist this news. He sent me to a retinal specialist whose office was next to his and I was told I had dry macular degeneration. I remember him talking a lot about drusen, but had to ask my daughter, who had accompanied me there, if he said I had macular degeneration. She emphatically said NO. When his card came the next year to set up an appointment, I declined, thinking there was no reason to do this. A few years later, I knew something was wrong. I played a harp and began noticing notes were suddenly missing as I looked back and forth from the strings on my harp back to the music. Around Christmas, I took my harp to my church and set it up in a very well-lighted room. The strings looked wavy!! I called for an appointment with my ophthomologist as soon as I got home. I was tested and he sent me directly to a retinal specialist who explained the dry macular degeneration was now wet and I needed a shot of Avastin now. While filling out my medical history in his office, I noticed there were many questions as to whether I had had cancer, what kinds of chemo were used and had I taken Tamoxifen. The specialist assured me none of these things were the problem because I had Age-related macular degeneration. I gave up driving nearly a year ago because I have a blind spot in my left eye, cannot see lane markers on highways when it is raining, cannot identify colors in traffic lights clearly, etc. etc. etc. I do not think it is wise at all for people who have macular degeneration to drive. An entire car can disappear in this blind spot and today, traffic moves too quickly for this not to be a huge problem. The most difficult part of having macular degeneration is not being able to drive safely. Thank God I have some public transportation available to me, but I have very little social life. I was very active in my church but only one person has ever offered to give me a ride. Yes. I hesitate to call and ask for help because everyone knows I no longer drive. I know people who have macular degeneration who still drive, but I think this is very dangerous. A tech told me one of their patients who can barely make out the big E on the eye chart is still driving and thinks she sees well enough to drive. As we age, our reaction time is not as fast as it was when we were younger. My father told me his was not as good when he was about 65. Add to that the fact that most people have some ARMD by the time they are 80 and you have a recipe for disaster. Still, I feel grateful for the fact I can still read, watch TV, use my computer and walk with a cane or rollator. I'm 79 years old and look forward to turning 80. Not sure I understand your questions. Yes, I was diagnosed with dry AMD in both eyes after cataract operations in both eyes. Two years later, my left eye went wet. 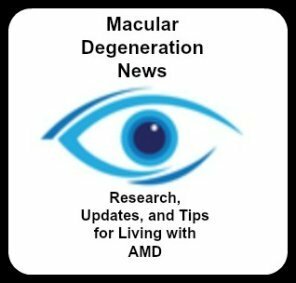 I did not know the fact I was having problems adjusting to the darkness when entering a movie theatre or driving through a tunnel were symptoms of something called dry macular degeneraion. Not being able to read street signs after cataract operations of both eyes was irritating to say the least. If you suspect both docs mistook dry mac for cataracts, I can't answer that because I'm not a doctor, but I always assumed they could see the cataracts, so I don't believe there was a mistake or that the cataracts caused the mac. But again. I'm not a doctor. The retinal specialist who first diagnosed the dry mac (after cataracts had been removed) could see drusen and talked a lot about that. My ophthalmologist could only see a small black line with his naked eye when I was having more and more symptoms of dry mac. Even after I had a blind spot and was seeing wavy lines. It took examining my eye with a special machine before he saw two cysts on the macula and sent me to a retinal specialist, pronto. After having that test repeated, I had my first shot in that eye. Not clear if you have just one eye with AMD and whether the failed cataract operation left you now with two misfunctioning eyes or one. Many people have only one good eye and can drive well and most states give driver's licenses to the one eyed. Anyway, it's tough not driving. I sold my car because I thought I would try public transportation and renting when necessary. It's good. I walk more and find ever new ways to get places. Yes, I have wet AMD in one eye. Injections didn't help. I guess I have dry in the remaining eye, but it has remained stable for four years.